Montreal, Canada – April 13, 2018 – Thunder Lotus Games has announced that Jotun: Valhalla Edition will launch worldwide on the Nintendo Switch™ system on April 27, 2018. In preparation for release of its hand-drawn Viking game on the popular system, Thunder Lotus has remastered Jotun’s graphics for Nintendo Switch™ and optimized its action-exploration gameplay for the console’s handheld mode. The developer is confident the upgrades will help draw new players to the award-winning game, which recently surpassed the one million player milestone. Thunder Lotus’ debut production earned high praise from press and players alike for its gorgeous visuals and challenging gameplay upon its release on PC (2015) and consoles (2016). The developer is proud to confirm that Jotun has welcomed over 1 million players into its hand-drawn norse-inspired world since its initial launch. Those that had enjoyed the game on Wii U™, especially, will notice an evident graphical upgrade in the new release. Subtler, but no less crucial, are the gameplay tweaks implemented by the developer to allow for a seamless experience on the Nintendo Switch™ console’s handheld mode. 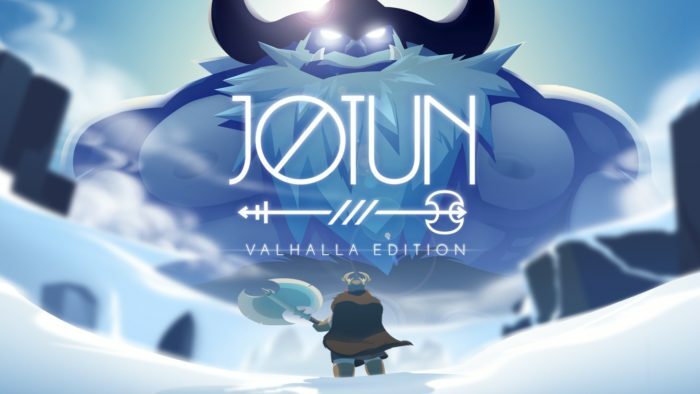 This prompted the company head to (somewhat wistfully) note that Jotun’s arrival on Nintendo Switch™ marks the first time a Thunder Lotus production is fully untethered from a dedicated TV screen or monitor. Jotun is a hand-drawn action-exploration game set in Norse mythology. In Jotun, you play Thora, a Viking warrior who died an inglorious death and must prove herself to the Gods to enter Valhalla. Jotun: Valhalla Edition features Valhalla Mode, a boss rush mode with even fiercer versions of the already challenging jotun. Jotun: Valhalla Edition will be released in the Nintendo eShop on Nintendo Switch ™ system on April 27, 2018. It was previously released on PC/Mac/Linux in 2015, and on Wii U™, PlayStation®4, and Xbox One in 2016. It has received numerous accolades, including two Canadian Video Game Awards. The title retails at $14.99 USD on all platforms.